The Yinka Dene Alliance is on a cross country mission to tell Canadians why they have decided to refuse the construction of the Enbridge Gateway Pipeline across their land. They arrived on VIA Rail last night and held a news conference this morning at the Circle of Life Thunderbird House in Winnipeg. Mainstream media response was underwhelming; it appears that most were distracted by Jim Flaherty’s visit to the Winnipeg Mint to watch the last shiny copper come off the assembly line today. Oh, those shiny pennies!! Oh, how bedazzling for the media! Because most of the mainstream media declined the invitation to participate, you and your friends are unlikely to find out what was said — unless you watch this video and share it widely. 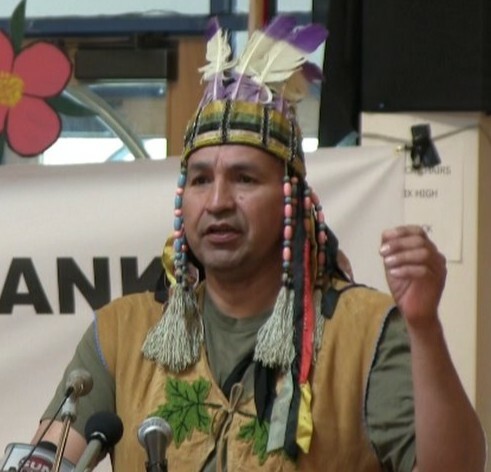 If you don’t have 52 minutes, here’s an interview I recorded last night at Union Station with Hereditary Chief Na’Moks. When it comes to natives it is a very heartbreaking story. We complain about human rights in China. We need to look at our own glasshouse first.